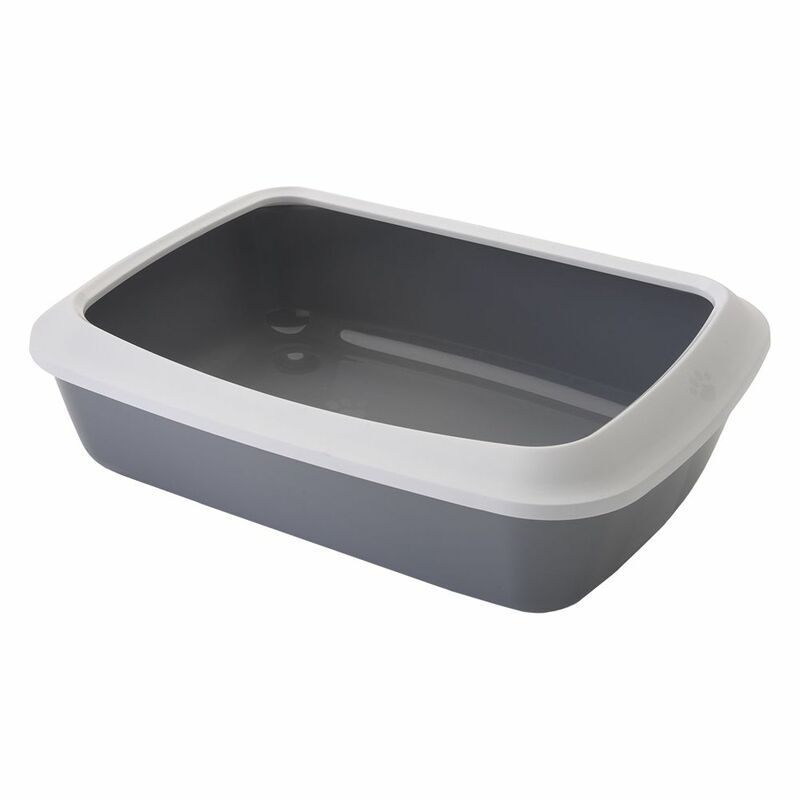 The Savic Iriz Litter Tray - 50cm comes with a removable, protective edge and has a low entrance. This is ideal for cats which cannot jump easily because they have no strength in their legs. This smart litter tray is suitable for kittens as well as for elderly or sick cats. The sturdy, protective edge stops litter from flying out and so helps to keep the surrounding area clean and tidy. This edge is removable which makes it easier to clean the litter tray. The white protective edge looks very smart when combined with the elegant grey tray. The neutral colours are unobtrusive and will fit in with your decor, whatever your colour theme. The Savic Iriz Cat Litter Tray with Protective Edge - 50cm at a glance: Colour: Tray: light grey Protective edge: white with a cat paw pattern Removable protective edge Ideal for kitten, old or sick cats Made in Belgium Dimensions: Total: 50 x 37 x 14 cm (L x W x H) Entry height with edge: 14cm Entrance height without edge: 11cm Sizing for Savic Bag it Up Litter Tray Bags - Large: Suitable for trays up to: 50 x 36 cm (L x W) Contents: 12 bags More information about Savic Bag it Up Litter Tray Bags can be found here: Savic Bag it Up Litter Tray Bags.